Fast & professional digital printing. 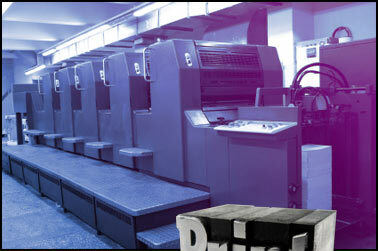 We now offer same or next day digital printing services. We recently expanded our production capabilities to include digital printing of booklets, postcards, brochures, invitations, newsletters and catalogs. Digital printing is a cost effective, high quality solution when you need quick short run printing and is best suited for small run or printed jobs that are due either the same business day or next business day. Get an estimate by clicking price quote, or for immediate assistance please call us directly at (516) 797-6944. We own and operate digital printing presses to accommodate a wide variety of our customer's digital printing requirements. Our digital presses can print, fold, stitch and inline your print order so your project can literally be produced within hours of receiving your files. If your project requires a small run of same or next day printing, our sales staff is involved in every step during production of your digital printing order to ensure timely delivery. Working with On Target Impressions means superior quality printing at a lower cost to you. For over three decades, our company has devoted it's resources to expanding our printing and bindery capabilities to achieve a leading position within the commercial printing industry. We owe our success to our many clients and continually upgrade our printing technologies and expand our staff to ensure every client receives diligent personal service, the best printing quality and the fastest turnaround our clients' needs demand. Our digital printing capabilities are closely managed to ensure you receive the best printing quality for the lowest cost while providing same day digital printing. Many of our clients cannot see the difference between same day digital printing as compared to the traditional offset printing process. However if you require offset printing, we can accomodate any type of printing material imaginable. Click here to find out more.